Today, I returned suggested edits for my 3900-word short story, “Siren Song.” Time to wait for news about that … and make word clouds with Wordle!!! Below is a cloud generated from “First Ride of the Day,” a 400-word mini piece that will appear in the fabulous, apocalyptic Vignettes from the End of the World, an Apokrupha anthology. 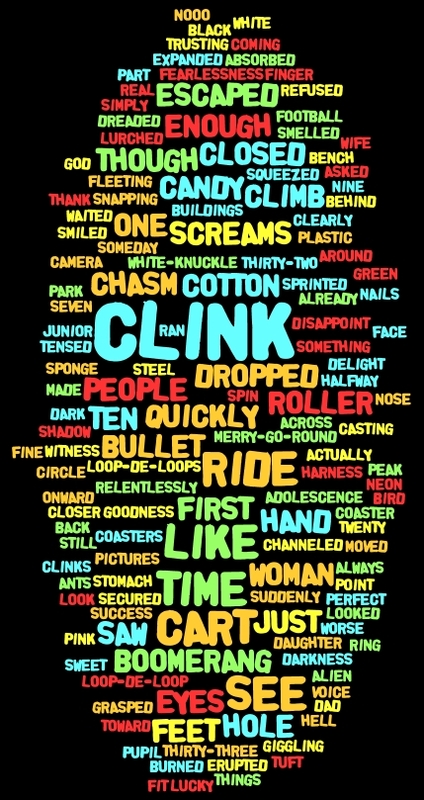 I wrote “First Ride of the Day” in an amusement park. My bestest friend was standing in line for the Hollywood Rip Ride Rockit Coaster, a 167-foot-tall nightmare with neon orange tracks. It was October, just two days before the Rip Ride Rockit malfunctioned and stranded twelve people for three hours. Anyway, as my friend partook in daredevil fun, I wondered: what’s more nerve-wrecking than the slow climb up a roller coaster hill? What if the apocalypse started mid-climb? Oooh. Spooky. 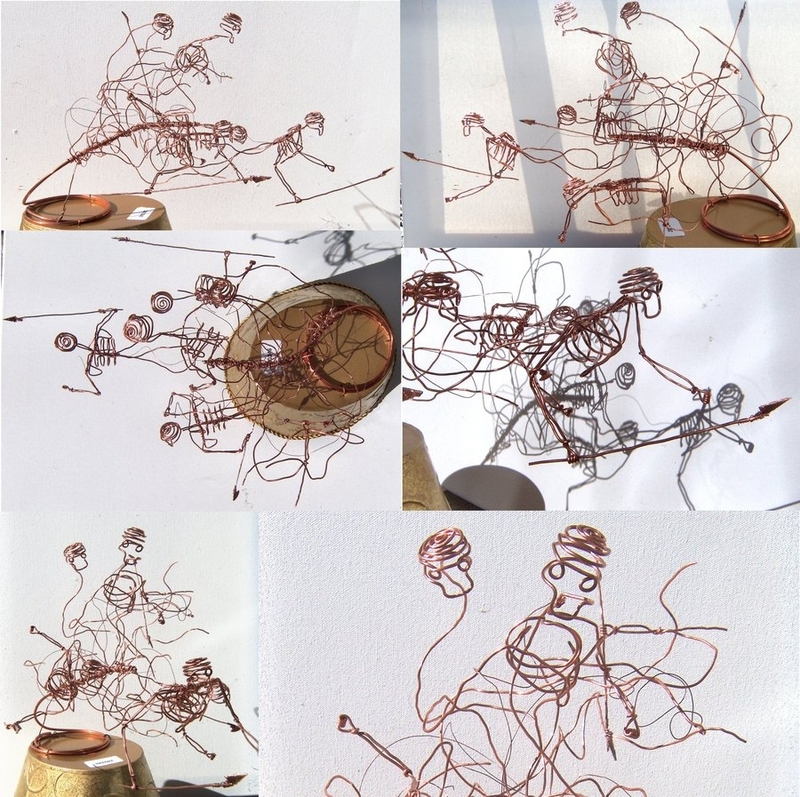 Salvaged copper wire transforms into something fanciful; JP bends each sculpture by hand and pliers. These figures spring directly from his brain. 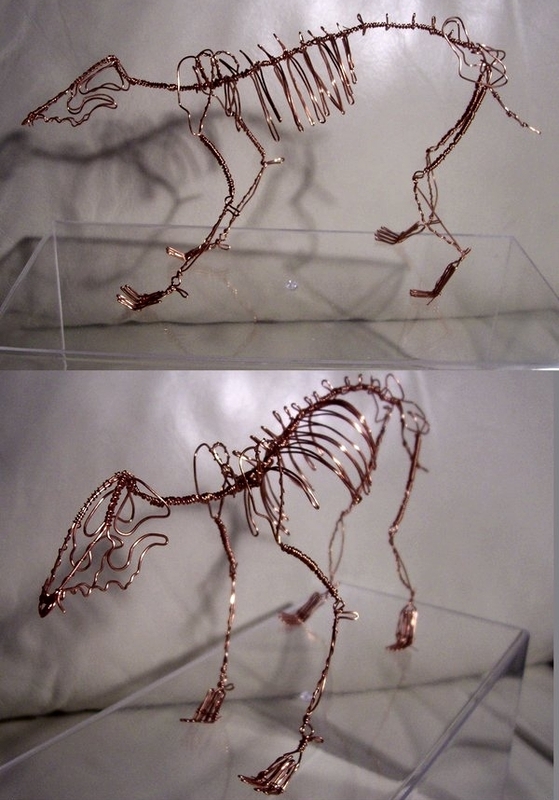 He twisted the wire wolf, below, as we were walking in the mall. Happy belated birthday, little brother! Gray wolf skeleton, a gift for my friend!